According to Mr. Roberts’ statement, it would appear that the entire Oversight Committee is suspending operations ahead of the passage of the new CPRIT bill. 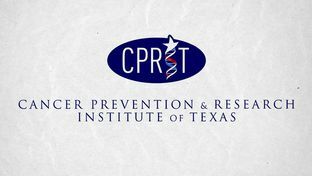 The CPRIT Oversight Committee has been in the news several times recently, first in a report from earlier in the month, when Texas GOP political leaders publicly put pressure on veteran Oversight Committee members to step down from their posts. More recently, longtime Texas politician and former Pentagon watchdog Pete Geren was named to the Oversight Committee by Speaker Straus in a bit to shore up a new standard of oversight for the new regulations set forth by pending legislation. It remains to be seen if the decision to suspend the Oversight Committee’s operations in the short-term is the result of these two recent developments, however, this new suspension of the Committee’s public meeting marks the second time in as many months that the meeting has been abruptly canceled. BioNews Texas followed up with a CPRIT Oversight Committee spokesperson in March on several key questions regarding the Committee’s recommendations to lawmakers on their own proposed changed, but did not receive an official response from the organization.